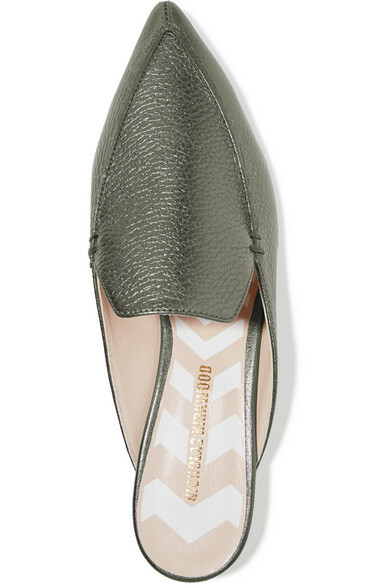 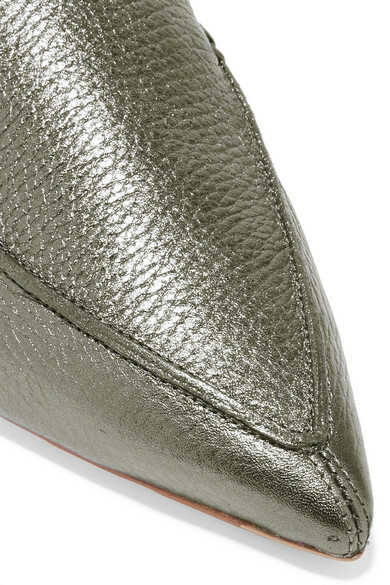 Nicholas Kirkwood's gunmetal 'Beya' slippers look equally chic with jeans or party dresses. 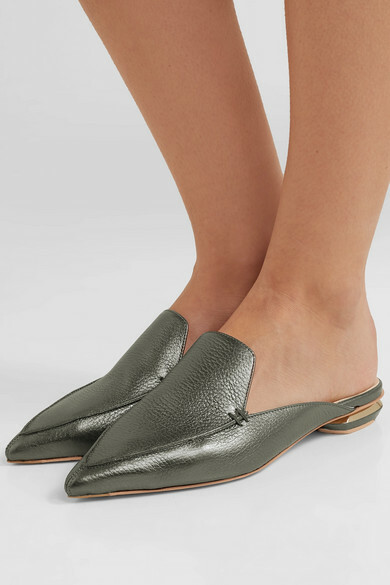 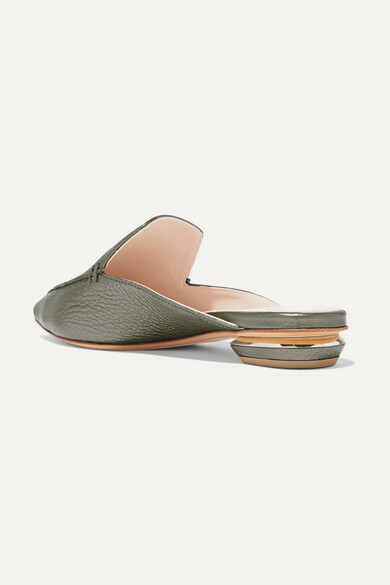 They're crafted from supple textured-leather and have mirrored gold heels inspired by Art Deco architecture. 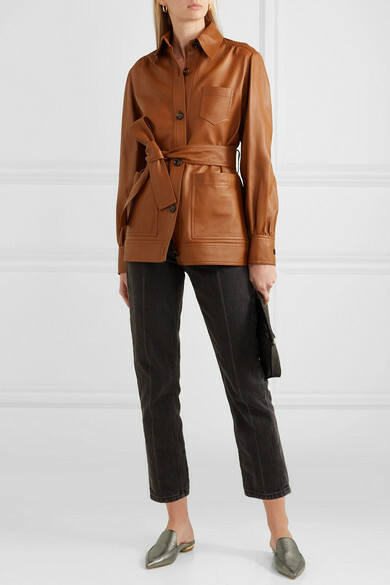 Shown here with: Joseph Jacket, Ksubi Jeans, Loewe Pouch, Sophie Buhai Earrings.